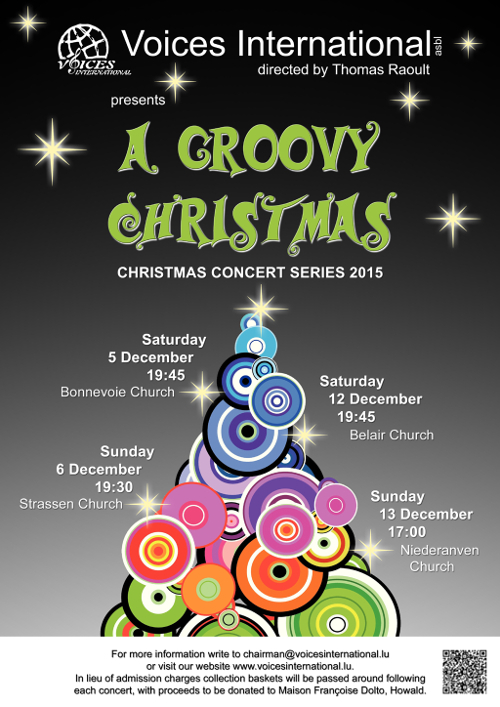 Voices International Presents The 2015 Christmas Charity Concerts. This season's repertoire covers a wide range of musical styles (pop, folk, rock, classical, traditional and spiritual) and languages. Although English is the predominant language in the repertoire, you can also look forward to a selection in French, German, Norwegen, Latin, and Luxembourgish.